The cloud is no longer sufficient to instantaneously process and analyze the troves of data generated — or soon to be generated — by IoT devices, connected cars, and other digital platforms. Enter edge computing. Sometimes faster data processing is a luxury — other times it’s the difference between life and death. An autonomous vehicle, for example, is essentially a large, high-powered computer on wheels that collects data through a multitude of sensors. For these vehicles to operate safely and reliably, they need to respond to their surroundings right away. Any lag in processing speed can be deadly. While the bulk of data processing for connected devices now happens in the cloud, sending data back and forth across a central server can take seconds too long. By the year 2020, it is estimated that the average person will generate 1.5 GB worth of data per day. With so many more devices connected to the internet and generating data, cloud computing might not be able to handle it all — especially at the faster speeds required for certain uses. Edge computing makes faster data processing for autonomous vehicles possible, but how does it work? 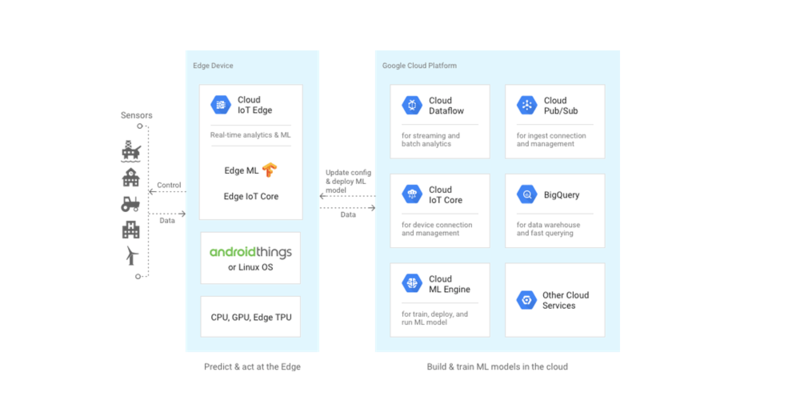 Edge computing enables connected devices to process data closer to where it is created — or the “edge.” This can be either within the device itself (i.e. sensors), or close to the device, and provides an alternative to sending data to a centralized cloud for processing. Some of the biggest players in tech — including Amazon, Microsoft, and Google — are exploring edge computing, potentially giving rise to the next big computing race. While Amazon Web Services (AWS) remains dominant in the public cloud landscape, it remains to be seen who will emerge as the leader in this nascent edge computing space. In this explainer, we dive more into what edge computing is, the benefits associated with the technology, and its applications across a wide range of industries. Before we can understand edge computing, we must take a look at how its predecessor — cloud computing — has paved the way for IoT devices worldwide. From wearables to connected kitchen appliances, internet-connected devices are everywhere. The global IoT market is expected to exceed $1.7T by 2019, more than tripling its size from the $486B seen in 2013. As a result, cloud computing — the process by which many of these smart devices connect to the internet to operate — has become an increasingly dominant trend. For example, a person may choose to back up her smartphone using Apple’s iCloud. 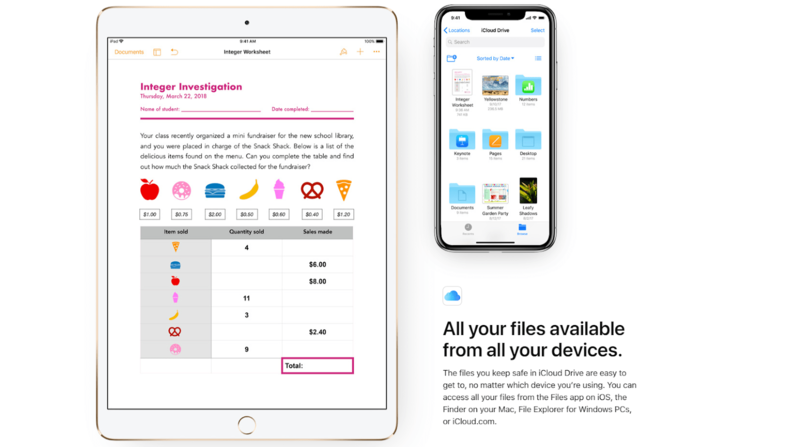 She can then retrieve her smartphone data via another internet-enabled device, such as her desktop computer, by logging into her account and connecting to the cloud. Her information is no longer confined to the capacity of the internal hard drive on her smartphone or desktop. This is just one of many cloud computing use cases. Another example is running full scale applications that are accessed through a web or mobile browser. Because of its rising popularity, cloud computing has attracted major tech players like Amazon, Google, Microsoft, and IBM. Of the major public cloud providers, Amazon Web Services (AWS) and Microsoft Azure take the No.1 and No. 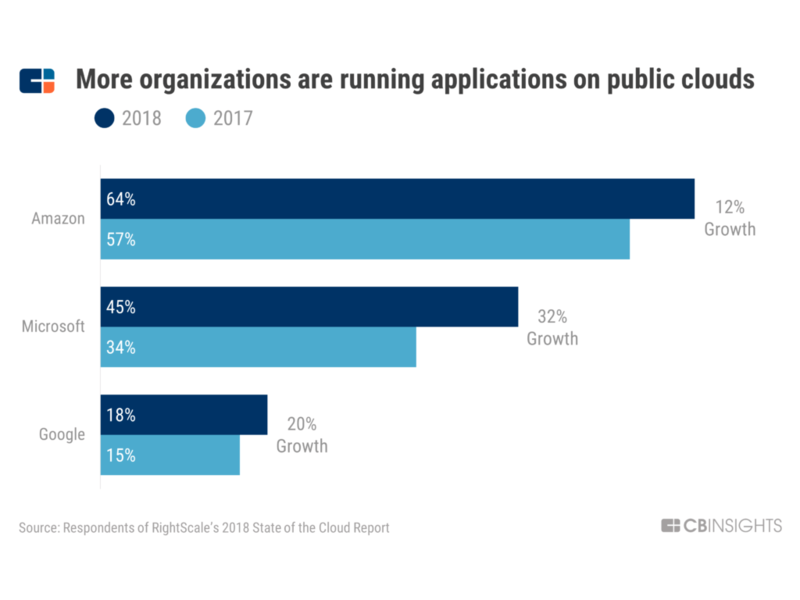 2 spots, respectively, according to a 2018 survey conducted by private cloud management company RightScale. But centralized cloud computing is not ideal for all applications and use cases. Edge computing provides solutions where traditional cloud infrastructure may fall short. In our data-heavy future, with billions of devices connected to the internet, faster and more reliable data processing will become crucial. The consolidation and centralized nature of cloud computing has proven cost-effective and flexible over recent years, but the rise of IoT and mobile computing has put a strain on networking bandwidth. Ultimately, not all smart devices need to utilize cloud computing to operate. In some cases, the back and forth can — and should — be avoided. That’s where edge computing comes in. According to the CB Insights Market Sizing tool, the global edge computing market is estimated to reach $6.72B by 2022. Although a nascent space, edge computing could prove to be more efficient in some areas where cloud computing operates. Edge computing enables data to be processed closer to where it’s created (i.e. motors, pumps, generators, or other sensors), reducing the need to transfer data back and forth between the cloud. It is described as a “mesh network of micro data centers that process or store critical data locally and push all received data to a central data center or cloud storage repository, in a footprint of less than 100 square feet,” according to research firm IDC. 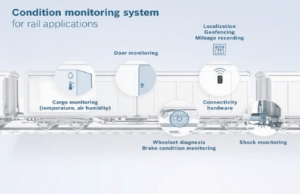 For example, a train may contain sensors that can immediately provide the status of its engine. In this scenario, sensor data does not need to travel to a data center, whether on the train or in the cloud, to see whether something is impacting operations or not. Localizing data processing and storage puts less of a strain on computing networks. When less data is sent to the cloud, the likelihood of latency — the delay in data processing that results from the interaction between the cloud and IoT devices — decreases. This also places more responsibility on the hardware underlying edge computing technology, which consists of sensors for collecting data and CPUs or GPUs for processing data within connected devices. As edge computing takes off, it is important to understand another technology that edge devices are involved with: fog computing. While edge computing refers more specifically to the computational processes being done at or near the “edge” of a network, fog computing refers to the network connections between the edge devices and the cloud. 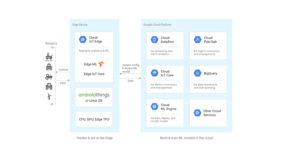 In other words, fog computing extends the cloud closer to the edge of a network; therefore, “fog computing always uses edge computing, but not the other way around,” according to OpenFog. Going back to our train scenario: sensors can gather data, but cannot immediately act upon it. For example, if a train engineer wants information on how a train’s wheels and brakes have been operating, he can use sensor data aggregated over time to anticipate whether parts need service or not. In this situation, data processing uses the edge, but it is not always immediate (unlike determining engine status). Using fog computing, short-term analytics can be assessed at a given point in time and do not require full travel back to a centralized cloud. Thus, it’s important to understand that while edge computing complements cloud computing and works very closely with fog computing, it is by no means here to replace either. Real-time or faster data processing and analysis: Data is processed closer to the source, not in an external data center or cloud, which reduces lag time. Lower costs: Enterprises spend less on data management solutions for local devices than for cloud and data center networks. Less network traffic: With an increasing number of IoT devices, data generation continues to rise at record rates. As a result, network bandwidth becomes more limited, overwhelming the cloud and leading to a greater bottleneck of data. Increased application efficiency: With lower latency levels, applications can operate more efficiently and at faster speeds. Deemphasizing the cloud’s role also decreases the potential for having a single point of failure. For example, if a company utilizes a centralized cloud to store its data and the cloud goes down, the data becomes inaccessible until the issue is resolved — and could lead to a serious loss of business. In 2016, Salesforce.com went offline for more than 24 hours due to an outage at Salesforce’s North American 14 site (aka NA14). Clients could not access troves of customer data, from phone numbers to emails, and more — which heavily disrupted business. Salesforce has since moved its IoT cloud to Amazon AWS, but the outage highlights a major problem with relying solely on the cloud. Relying less on the cloud also means certain devices can operate reliably offline. This is especially useful in locations where internet connectivity is limited — whether in specific geographies with little access or remote, often inaccessible sites like oil fields. Another key advantage to edge computing relates to security and compliance. This is especially important with governments becoming increasingly concerned with how companies leverage consumer data. Such is the case with the recent enforcement of the General Data Protection Regulation (GDPR) in the EU, which seeks to protect individuals’ personal identifiable information from data abuse. Because edge devices collect and act upon data at a local level, data transfer to the cloud can be avoided. Sensitive information then doesn’t need to pass through a network, and should a cyberattack to the cloud occur, the impact would likely be less dramatic than if the data was in flux. 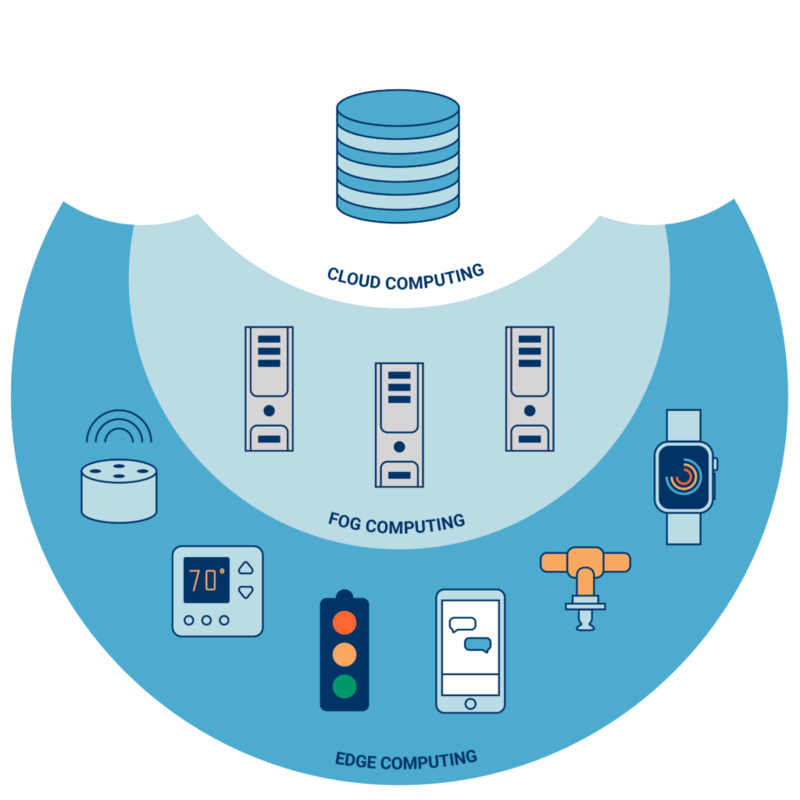 Edge computing also allows a level of interoperability between emerging connected devices and older, “legacy” devices. It “converts the communication protocols” used by older systems into a language that modern connected devices can comprehend. This means legacy industrial equipment can be seamlessly and efficiently connected to modern IoT platforms. Today, the edge computing market is still relatively young. 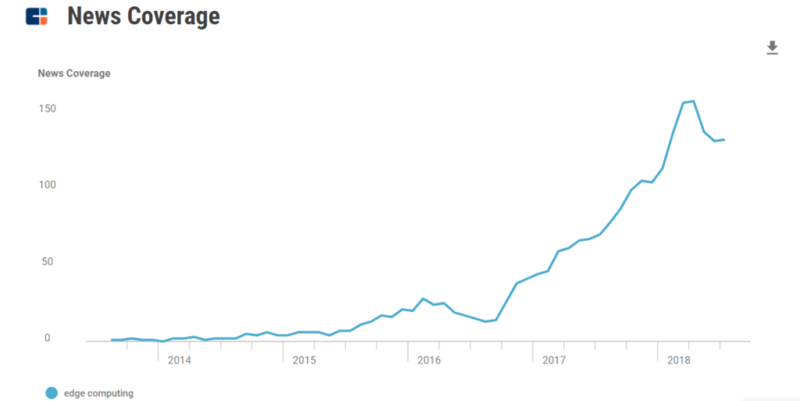 But it appears to be gaining more attention, especially as things become more connected. The same players that have been dominant in cloud computing (Amazon, Google, Microsoft) are emerging as edge computing leaders. Microsoft has also made some major moves in the space. The company’s plan to spend $5B in IoT over the next 4 years involves its edge computing initiatives. 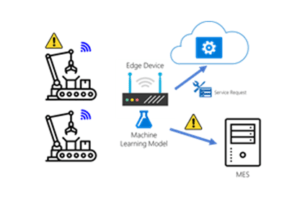 Microsoft announced its Azure IoT Edge solution, which “extends cloud analytics to edge devices,” and can be utilized offline. The company is also looking to focus on artificial intelligence applications at the edge. But interest is not limited to these three giants. As more connected devices emerge, many players within the rising ecosystem are working on software and technology that will enable edge computing to take off. Over the next four years, Hewlett Packard Enterprise (HPE) will invest $4B in edge computing. 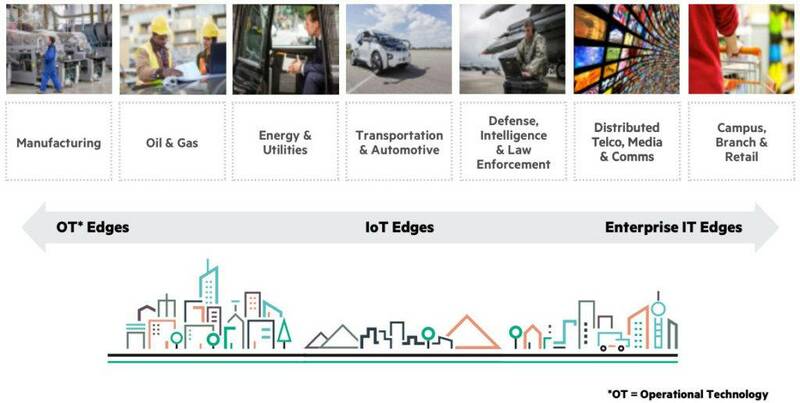 HPE’s Edgeline Converged Edge Systems is targeted at industrial partners that desire data center-level computing power while often operating in remote conditions. The Edgeline Converged Edge Systems (Model EL 1000 pictured left) promises to provide industrial operations — such as across oil rigs, factories, or copper mines — with insight from connected devices without relying on sending the data to the cloud or data center. Other major players in the burgeoning edge computing space include Scale Computing, Vertiv, Huawei Technologies, Fujitsu, and Nokia, among others. Many prominent companies have also invested in edge computing, including General Electric, Intel, Dell, IBM, Cisco, Hewlett Packard Enterprise, Microsoft, SAP SE, and AT&T. In the private market, for example, Dell and Intel, have invested in Foghorn, an edge intelligence provider for industrial and commercial IoT applications. Dell has also participated in a seed round to IIoT edge platform IOTech. Many of the companies mentioned above, including Cisco, Dell, and Microsoft, have also come together to form the OpenFog Consortium. The group aims to standardize applications of this technology. As the price of sensors and cost of computing continues to decrease, more “things” will be connected to the internet. And as more connected devices become available, edge computing will see increasing applications across industries, especially as cloud computing proves inefficient in some cases. We are already beginning to see its implications across different sectors. From autonomous vehicles to agriculture, here are several sectors that would benefit from edge computing’s potential. One of the most obvious potential applications of edge computing technology is across transportation — more specifically, autonomous vehicles. Self-driving vehicles are heavily equipped with all types of sensors, from camera- to radar- to lidar-based systems, to help the vehicle operate. As described earlier, these autonomous vehicles could utilize edge computing to process data much closer to the vehicle via these sensors, saving precious milliseconds. And while driverless cars are not yet mainstream, companies are preparing. 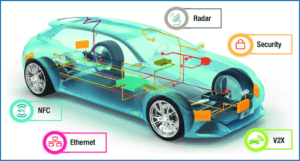 Earlier this year, The Automotoive Edge Computing Consortium (AECC) announced that it would be launching operations focused on connected cars solutions. Members include DENSO Corporation, Toyota Motor Corporation, AT&T, Ericsson, Intel, and others. But it’s not just just autonomous vehicles that generate a significant amount of data and require real-time processing. It’s also planes, trains, and other forms of transportation — driverless or not. For example, the airplane manufacturer Bombardier’s C-Series has been heavily outfitted with sensors to immediately detect engine performance problems. Over 12 hours of flying, the airplane generates 844 TB of data. Edge computing allows real-time processing of the data, so the company can proactively deal with engine issues. People have become increasingly comfortable wearing fitness trackers, glucose monitors, smartwatches, and other health-monitoring wearables. But to truly capture the benefit of the massive amounts of data being collected, real-time analysis may be necessary — and while many wearable devices connect to the cloud directly, others can operate offline. Some wearable health monitors can locally analyze pulse data or sleep patterns without connecting to the cloud. Doctors can then evaluate patients on the spot and provide on-demand feedback about their health. But the potential for edge computing in healthcare goes far beyond wearables. Consider the benefits of speedy data processing for remote patient monitoring, inpatient care, and healthcare management for hospitals and clinics. Doctors and clinicians would be able to offer faster, better care to patients while also adding an additional layer of security to the patient-generated health data (PDHD). The average hospital bed has upwards of 20 connected devices, generating a considerable amount of data. Instead of sending confidential data to the cloud where it could be improperly accessed, it would happen closer to the edge. As previously mentioned, localized data processing means a widespread cloud or network failure will not impact the process. Even if cloud operations were disrupted, these hospital sensors operate independently, and could still function as intended. The decreased latency issues of edge computing could lead to faster, more responsive changes in manufacturing workflow, which would be able to apply insight and action in real-time. This might include shutting down a machine before it overheats. A factory could employ two robots, outfitted with sensors and connected to an edge device, to do the same task. The edge device could run a machine learning model to predict if one of the robots will fail (pictured at the right). If that edge device determined that a robot’s failure was likely, it would trigger an action to stop it or slow it down. This would allow the factory to assess the potential for malfunctions in real-time. Robots may also become more self-sufficient and reactive if they can process data themselves. Edge computing should allow for greater, quicker insight generated from big data, and a greater amount of machine learning to be applied to operations. The end goals are capitalizing on the untapped value of the massive amount of data being created, preventing safety hazards, and lessening disruptions on the factory floor. Edge computing is ideal for agriculture, given the often remote locations and hostile conditions of farms that may present bandwidth and connectivity concerns. Right now, smart farms wanting to improve connectivity are investing in expensive fiber, microwave connections, or having a full-time satellite; edge computing provides a suitable cost-effective alternative. Smart farms could use edge computing to monitor temperature, equipment performance, and automatically slow or shut down processes (e.g. an overheating pump). Edge computing could prove especially effective across the energy industry, particularly for safety monitoring with oil and gas utilities. Pressure and humidity sensors, for example, should be closely monitored, and cannot afford a lapse in connectivity, especially as most of these are located in remote areas. If something abnormal — such as an oil pipe overheating — happens and goes unnoticed, a disastrous explosion could occur. Another benefit is the ability to detect equipment malfunctions in real-time. With grid control, sensors could monitor energy produced by everything from electric vehicles to wind farms to help make decisions around reducing cost and make energy generation more efficient. Other industries that could leverage edge computing technology include finance and retail. Both of these sectors use large customer and backend data sets to inform everything from stock market picks to in-store clothing placement, and could benefit from less reliance on the cloud to process that data. Retail could use edge computing applications to enhance the customer experience. While many retailers today are focused on improving in-store experiences, it would make sense to optimize the way data is collected and analyzed — especially when many are experimenting with the use of connected mirrors and smart displays already. Additionally, many use point-of-sale data generated from tablets in-store, which is then transmitted to a cloud or data center. With edge computing, data could be analyzed locally, lessening the chance of a sensitive data leak. From wearables to vehicles to robots, IoT devices are gaining momentum. As we move towards a more connected ecosystem, data generation will continue to skyrocket, especially as 5G technology takes off and enables faster connections. While a centralized cloud or data center has traditionally been the go-to for data management, processing, and storage, each has its limitations. Edge computing can provide an alternative solution, but since the technology is still in its infancy, it’s difficult to predict its success moving forward. Challenges around device capabilities — including the ability to develop software and hardware that can handle computational offloading from the cloud — are likely to arise. Being able to teach machines to toggle between a computation that can be performed at the edge and one that requires the cloud is also a challenge. Even so, as adoption picks up, there will be more opportunities for companies to test and deploy this technology across sectors. And while some use cases may prove the value of edge computing more clearly than others, the potential impact on our connected ecosystem as a whole could be game changing.